My 2014 New Year’s Resolutions will be different! Normally, I do not make New Year’s Resolutions because I do not believe in them. Why wait for a particular date to resolve or promise to make changes? Changes such as weight loss, quit smoking or drinking, get out of debt, or something else can start at anytime. In fact, I started my mine during 2013. What are you doing about you New Year’s Resolutions? 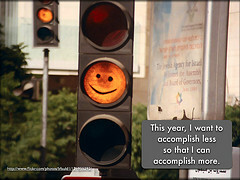 Normally, I put together three to five resolutions and report my progress quarterly. I will continue to do that, but my resolutions have changed significantly. I will continue to make changes in my blog and other changes, but I have changed my priorities. The last few years have been difficult! My career in teaching has changed significantly. I love my career, but I have suffered setbacks because I teach what the district thinks is unnecessary. Preparing my students for college or career is a district goal, but computer applications do not have relevance. Business courses such as Personal Finance, Career Exploration or Virtual Business has lost importance as well. Elective classes provide more than just a subject my students may have a passing interest. Emphasis has switched to test scores as more students drop out of school. My students learn practical skills for school and career. Permanent Teaching Assignment – I have been without a permanent teaching assignment since last June. What that means is I am still employed (same salary & benefits), but take daily assignments much like a substitute teacher. I am working on finding a permanent assignment for next September. I am networking and applying all my skills to reach my goal. My other choice is to just accept my plight and work as a pool (substitute) teacher for the next 3-4 years. I am not ready for that yet! Taking Time off – I included this goal last year. I did take one weekend off, but was unable to do it again. If I keep it as a goal, I am more apt to try to achieve it again. I already have a week scheduled in New York and I want to add a two week European river cruise next summer. In addition, I want to take at least two weekends away. Read one book a week – A few weeks ago, I read two books a week for entire year. I decided to do it to improve my writing. I think it helped, but it was fun to read all those books. Most were mysteries and a few with business books. In fact, I read a twenty book series by one author during the summer. It was great to follow the characters through all the stories. The author would build the character through multiple stories which was really interesting. Take an online class – I was thinking of learning a programming language. Nearly forty years ago, I was programming in APL. I used it to create a monthly analysis of the company’s performance. It was like a mini annual report. This was before spreadsheets such as Microsoft Excel. A programming class might enhance my skills as a teacher. What’s left? –I could pay off debt, but I do not have any except for a small mortgage and car loan. I am already paying additional principle on my mortgage and car loan to have them paid off in two and half years.. I max out my retirement savings in my 403B, IRA and Roth IRA. I suppose I could invest more or payoff my mortgage, but I choose to travel instead. There are some personal habits I think I will work on, but it is unnecessary to include them in my resolutions. I plan on smiling more, you know match what I feel inside with my outside. I do not need to lose weight, stop drinking or quit smoking. Some may call me boring! I would like to think of myself as a role model! Can I workout more, I doubt it! These are my 2014 New Year’s Resolutions! I did not give up on old resolutions and I will include any progress on those when appropriate. Failure only occurs when you actually give up. My 2014 New Year’s Resolutions are next stage of change and I will continue to make changes. Good luck with your 2014 goals! Will you be posting updates throughout the year to keep yourself accountable? As before, I will post quarterly my progress. That’s a great New Year’s resolution! I faced a big trials last year and I’m happy that I didn’t give up and still standing holding on my faith and hopefully this year will bring me a new hope. It is one of the reasons I breakdown my goals to daily or weekly tasks because I feel accomplished the task although I fall short on the overall goal. Good luck with your 2014 goals. Thank you, I changed my approach again and made my goals more personal. Reading more changed my life. I love that goal. About 4 years ago, I read 2 books a week for an entire year. I actually saw an improvement in my writing. Good luck, it sounds like you have a good mix of personal, professional, and financial goals to work on. Thanks, I look forward to this new year and expect to do well. Good luck with these goals, Krant. They are all worthy – good luck with finding a permanent position; and which river do you want to cruise on? Thanks, my wife prefers southern France or Amsterdam to Budapest. I am open to both. One book a week sounds great. I was reading about somebody who planned to read a book by an author from a different state each week. It would be cool to see how perspectives vary from state to state. A few summers ago, I read a whole series (same character) from one author in order. It was a real kick to watch the character develop over time. I completely agree – why do you wait until the beginning of a new year to make some adjustments in your life? Love the idea of quarterly updates to keep you on your toes, in case you get of track (which is bound to happen for me!). I try to keep my goals close (visible) so I don’t forget or lose track. I actually post it on th wll, on the computer or anywhere I cannot miss it. It works for me! Your reading goal is very admirable. I have an enormous backlog of unread books – good thing I’m targeting early retirement. I do not read as many books as I like, but that is why I set this goal. I seem to read more magazines and online publications. I use reading books (mysteries/thrillers) as a stress reducing activity. Reading more is one of my goals for the year as well. I got a kindle for Christmas and so far I’m off to a good start! Good luck with your resolutions! Good luck with your resolutions KC! Does the district hold your experience against you? They can go cheap by hiring a teacher out of college? I need to travel more myself. Hope you make it to your cruise. Lastly, you are a book reading machine! I’ve listening to more audio books lately. Great learning and helps the commute go by easier. I used to listen to audio books when I commuted more and traveled. I probably should not comment on the school district other than I will keep trying no matter the odds. Nice list! I hope to read more this year too. I can never seem to catch up to all the books I want to read or continue to buy though! Good luck with your goals this year, I’ll look forward to seeing more updates. Thanks, I try to make time for those things that make life more enjoyable such as reading , family time, entertainment and relationships to name just a few. Great list! Best of luck with getting a full time teaching position. I’m also glad to hear you’re planning time off!! You’ll have a great time in New York. I’ve enjoyed reading your blog and wish you many successes in 2014! Thanks, I am looking froward to 2014.